The hacker and activist group known as Anonymous published a new video in which they requested Donald Trump to take care of the American citizens. We have recently seen the hacker and activist group known as Anonymous released a video in which they warn people that the World War 3 is coming soon. In a new video, hacktivist group Anonymous just made a humble request to America’s President-elect Donald Trump. 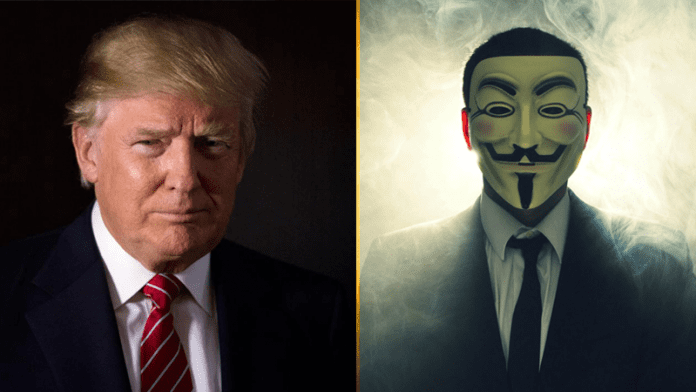 In the recent video, Anonymous sent a message to Donald Trump in which Anonymous represents the people, the people who elected Donald trump to be America’s president and had said that they expect Donald Trump to make many positive changes and deliver everything that he promised. The message goes on to blame previous Presidents. Anonymous said they all had the opportunity to show empathy and genuine care for their fellow citizen and to be remembered and respected. However, Anonymous said most of have bowed down to the wealthy, the powerful, the corrupt, big corporations and the Elite above. Anonymous also requested Donald trump to encourage all countries to end the wars and stop killing innocent peoples in the video. The video ends with a message to make America great again and anonymous also said that Donald Trump had a chance to make his term memorable by choosing the right path. Now considering the past videos of Anonymous that were full of aggressions this new video seems like a humble request. So, what you think about this? Share your thoughts in the comment box below.